For many years I thought I knew the only word there was for traffic in Spanish. Well, turns out I was wrong. Spanish has a funny way of surprising you with these things. Here are 7 ways to say traffic in Spanish that will have you sounding like a native speaker. This is the literal translation for the English word traffic, and quite likely the first (and perhaps only) one you learned. If you want to be boring you can use this word everywhere you go in the Spanish speaking world. Was there a lot of traffic? 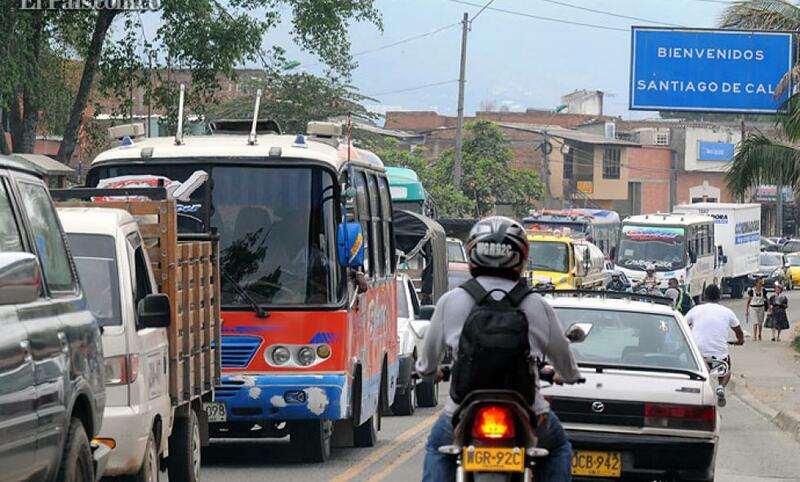 In Chile and parts of Colombia you’ll hear traffic referred to as a taco. Oddly enough, the word taco can be used for more than just food and traffic jams. While you’ll see the phrase embotellamiento del tránsito, it’s just as common to see the word embotellamiento used by itself. The word atasco is very commonly used in Spain, although it would be understood elsewhere given the proper context. This sounds a bit more formal, like something you would hear in your morning traffic report. You’re not likely to hear this quite as often as some of the other options in your day-to-day conversations. This another word you may hear in Spain. I saved my favorite word for traffic for last. You’ll hear this word throughout Central America and Colombia, so’ll you’ll get a lot of mileage out of this one. I’ve given you 7 great options for how to say traffic in Spanish and now you’re ready to go forth and impress your Spanish speaking friends as well the locals you come across in your travels. Another great article, Rodney. Trancón and taco are new to me. Here in Costa Rica, tráfico is used but I think tránsito is more common, and mucha presa is used for heavy traffic and traffic jams. Keep up these word studies. I love them!